Introducing the C-1, the world’s first gyroscopically-stabilized “rolling smart phone”. 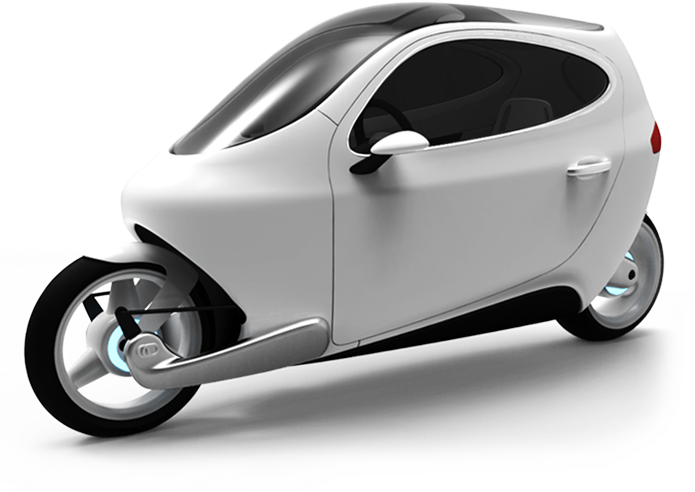 This vehicle combines the efficiency and freedom of a motorcycle with the safety and convenience of a car. Offering the “alternative to alternatives” on an exciting and safe platform, the C-1 transforms your daily commute into something to look forward to. Influenced by Scandinavian design, the exterior of the C-1 is both approachable and simple, enveloping the human in subtle curves, softened volumes, and lots of glass. 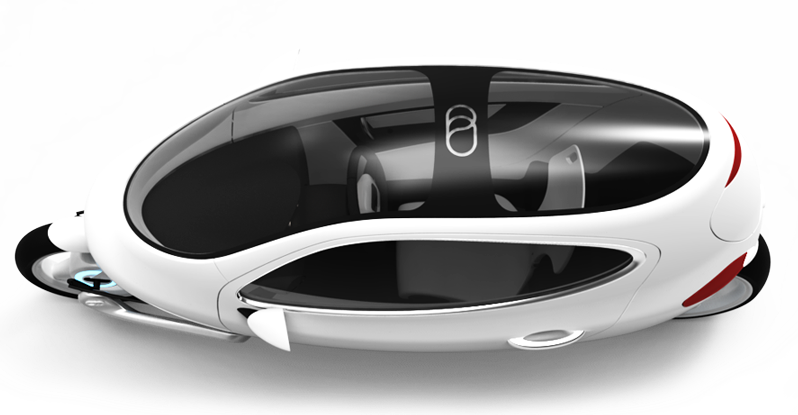 The overall design foundation is based on its waist line, which wraps around the vehicle’s circumference, and is grounded by the swooping rocker panel, highlighting its unique gyroscopic components. Discs of light glow from the wheel hubs, illustrating the electric hub motors. With design key words: “subtle”, “simple”, and “human”, the C-1 is as happy to be seen as it is to be touched. The C-1 was designed with you in mind. Lit Motors’ human-centered approach to design makes sure that the experience of sitting in such a unique transportation device is both comfortable and spacious. Through numerous mock-ups and user studies, we determined how much space people want and need. There is even enough room in this device for a friend to ride in the back for short city excursions. Using electronically-controlled gyroscopes located under the floor – generating over 1,300 ft.-lb. of torque – the C-1 balances at a stop and stays upright, even in a collision. 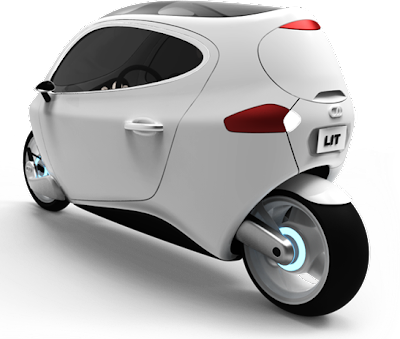 In-hub, direct-drive electric motors (20 kW) provide power and regeneration, while center-hub steering keeps you pointed in the right direction. With a top speed of 100+ MPH and battery packs providing up to 200 miles per charge, the C-1 is perfect for commuters and city dwellers alike. As we are hard at work developing this concept for production, please be patient for the future. Expect to see the C-1 in showrooms by the end of 2014.